A really nice full page preview for Jan’s book Covered! 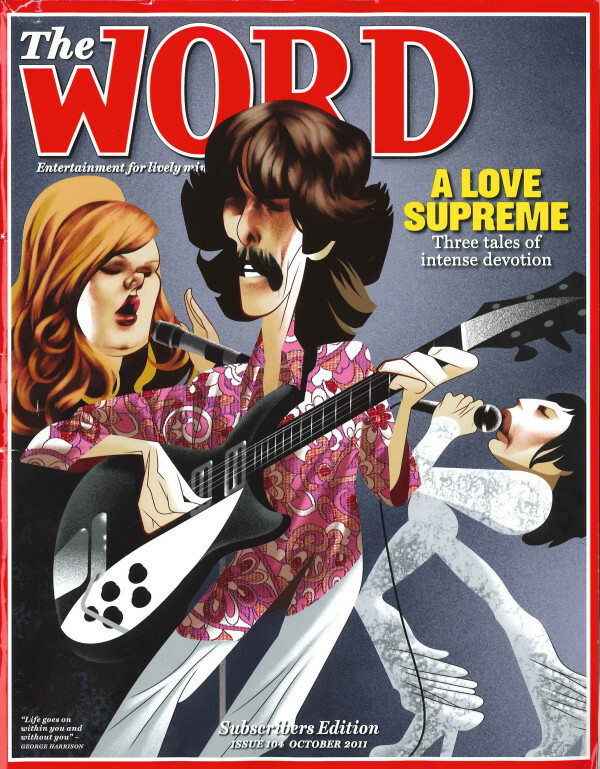 appears in the October 2011 edition of the UK monthly Word Magazine, which covers music, books, film and other aspects of popular culture. The decided just to take two well known album sleeves and feature a load of covers which have gone on to borrow the original ideas. I’ve added a scan of the page which you can see on the site here. This is the first of what looks like being a number of articles on the book, and it’s great to see people picking up on the theme. The book itself is at last in production, and we’ll have details of the Easy Shop up any day now for people with a conscience who have to order online but don’t want to support the activities of high-street destroying giants. Still can’t figure those Word magazine covers though, they just miss the mark on so many levels for me. I appreciate what they’re trying for and it’s nice to avoid the generic look so many magazines sport these days, but if you want to do that go and see what titles like Little White Lies are coming up with for their covers.